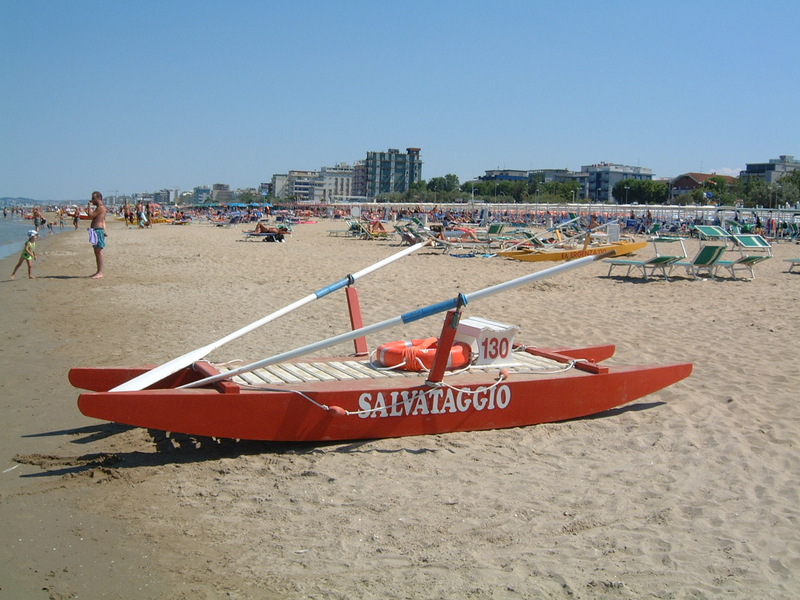 The closest beach is in the modern seaside town of Rimini, a 45 minute drive away. You can also travel by bus. The ‘bagno’s’ are typically Italian. You can only lie down here if you rent a deck chair or parasol. But there are also plenty of free beaches where you can park the car close by. Prefer to shop rather than to lie around on the beach? That’s fine too in Rimini. There are lots of little shops on the boulevard. The large shopping centre can be found along the road from Rimini to San Marino.